Transferring to a new school is a major life change to make among an already stressful time as a college student. The process of uprooting your life at one place and starting over at a new school is tiresome, calculated and emotional. Upon arrival, the journey to feeling at home in a new environment can be overwhelming. In addition, the administrative hurdles that come with evaluating transfer credits, finding classes and understanding the inner workings of the university are difficult, to say the least. As a transfer student, you will face unique challenges as you adjust, but keep in mind that there is a solution for almost any problem you may encounter. Read on to learn about five ways to overcome some of the most common problems transfer students face. I know firsthand that the mental process leading up to the choice to switch schools feels like half the battle itself. There are so many pros and cons that can ultimately factor into the decision to switch schools. During this time, do not be afraid to be selfish. At the end of the day, you are in school to better yourself, and it is important to do so in a place that is conducive for your success. Of course, there are outside influences on making the decision such as cost, location, size of the school, etc. ; however, when it comes to your best interests, there are plenty of resources to help you through the process. I can say that if you are truly on the fence, it does not hurt to apply to the school you are interested in. You may find it to be worse if you miss the application deadline, wishing you hadn’t. Physically arriving at your new school can be scary, especially when it is a large campus with huge buildings towering over you, thousands of students and streets that go in every direction. Take your time to be a tourist and orient yourself with this new environment. 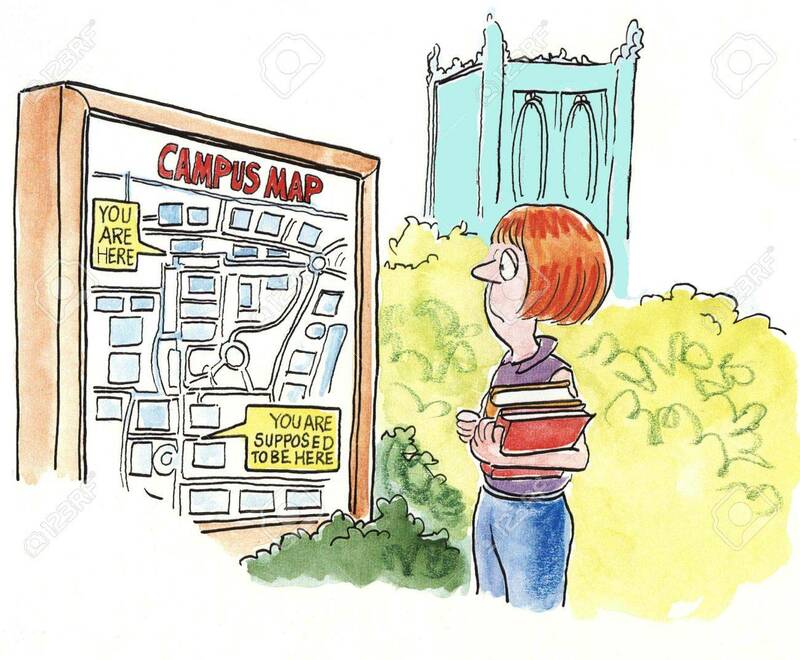 If you can, take a few days before the semester and walk through your schedule. Take a minute to pop into the libraries to scope out study spaces, head to some coffee shops or take a walk around green spaces on campus to find nice areas to relax between classes. Along with settling into campus, take time to familiarize yourself with the online platforms that your school uses. It took me a few weeks to get comfortable with using Canvas after using Moodle for two years at my previous institution. The systems for scheduling appointments, enrolling in classes and communicating with advisors were all different and took time getting used to. If you can get ahead on figuring these things out, your transition into academic life will be much smoother. Finding a place to live can be tricky as a transfer student, especially when you don’t know anyone on campus. Fortunately, most schools have Facebook groups for people trying to find roommates. Make sure you are specific about your needs when finding roommates; having a rough living situation as a transfer student can make an already stressful situation even more difficult. If an apartment is not ideal for you, many places have dorms that are sectioned off specifically for transfer students. This is a great way to familiarize yourself both with the school and other students who are in the same situation as you. One of the most irritating parts of changing schools is dealing with transfer credits. When I changed schools, I thought all of my freshman and sophomore coursework would transfer smoothly because I was staying in my major, yet this was not the case. This is the part of the transfer process where patience is critical. There are ways to obtain more transfer credits than you receive initially if you are willing to advocate for yourself. I was able to get three or four more classes counted towards my major by bringing my syllabi to my academic advisor, then climbing the ladder of approval until everything was straightened out. If every single one of your credits transfer, consider yourself lucky. Most likely, you will have to retake a course that is similar to something you already did or have to add on more classes to meet the different requirements. Finding your group as a transfer student may be extra challenging because you are entering after friendships have already been established. As an introverted person myself, I was fearful that I would not find a solid friend group when everyone around me seemed so connected. I highly recommend attending the Student Organization Fair at the beginning of the semester and joining groups that reflect your interests. These groups are designed to be inclusive and will always welcome new members with open arms. Another thing to consider is to be open to living with roommates. I bounced around the idea of just getting a studio and living on my own, but I am so glad I chose to throw a post on Facebook to find my roommates. If you would rather live in the dorms, there are often many ways to get connected with people who live in your building or on your floor. Be open to trying new things that will allow you to meet new people. I firmly believe the worst thing to do when transferring to a new school is to stay by yourself for too long. All in all, the transfer experience can be scary, confusing, and at times, lonely. You will be faced with decisions and obstacles that will seem impossible to overcome, but it is critical that you keep focused on why you transferred in the first place. In the end, you are there to make the most of your education. As a transfer student, you will learn quickly how to advocate for yourself, form strong connections and take control of your environment. Within a short amount of time, you will feel at home at your new school!